10.5" garden vase with 1/2 dozen red roses, 3 pink lilies, 3 hydrangea, 3 pink orchids, baby's breath and greens. Large 8" hat box with a dozen red roses, a half dozen cymbidium orchids, white hydrangea, and greens with a small "Hello Kitty Bows" Sugarfina candy cube. 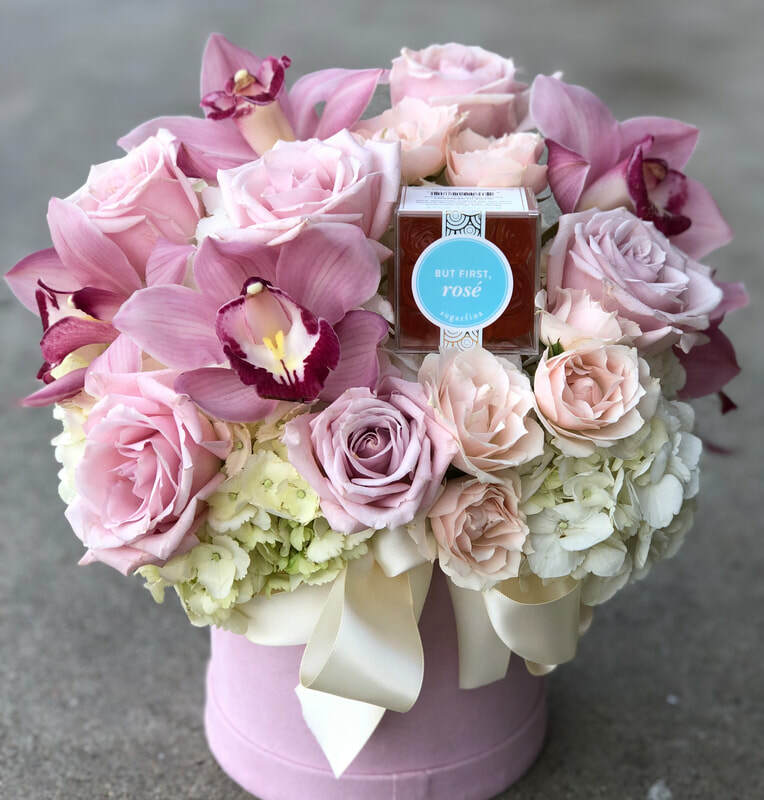 Large 8" hat box with a dozen mixed blush and ivory roses, pink cymbidium orchids, pink spray roses, white hydrangea, and wax with a small "Champagne Bears" Sugarfina candy cube.